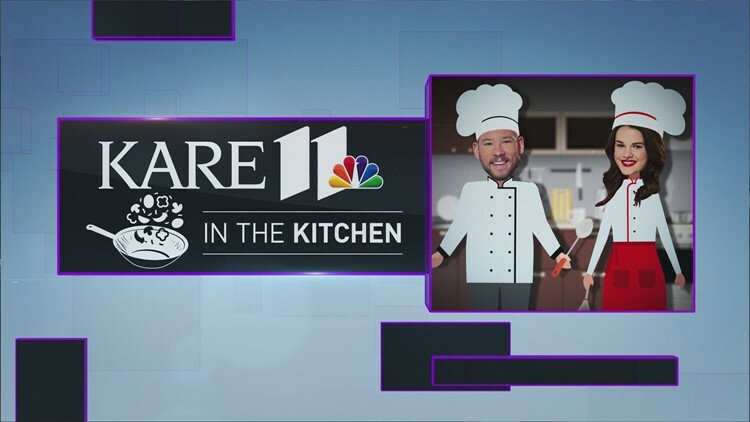 Alicia is cooking up one of her favorite cold-weather comfort foods on Thursday's KARE in the Kitchen! GOLDEN VALLEY, Minn. — When it's THIS cold, we all love to just curl up inside and eat some delicious comfort foods. This is one of the favorites of KARE 11's Alicia Lewis! Here's the recipe for her Gnocchi Carbonara. 1. In a medium-hot pan, add 2 tbsp extra virgin olive oil and 2 tbsp of butter. When butter melts and turns slightly brown, add sliced pancetta. 2. Toss until pancetta starts to brown. Add gnocchi and toss until gnocchi browns slightly (about 3-4 minutes). Add garlic and toss until garlic softens (about 1 minute). Do not brown garlic. 3. Add wine and reduce by half. Add chicken stock. Reduce by half and add cream. Bring to simmer. Begin to reduce sauce and add gnocchi. Simmer until the sauce coats the back of a spoon. 4. Season to taste with kosher salt and fresh ground black pepper. Add sage, peas and half of the Parmesan cheese and stir to incorporate. 5. Remove to a platter and garnish with freshly shaved Parmesan cheese. Add pulled chicken or shrimp to the gnocchi after the cream has begun reducing.